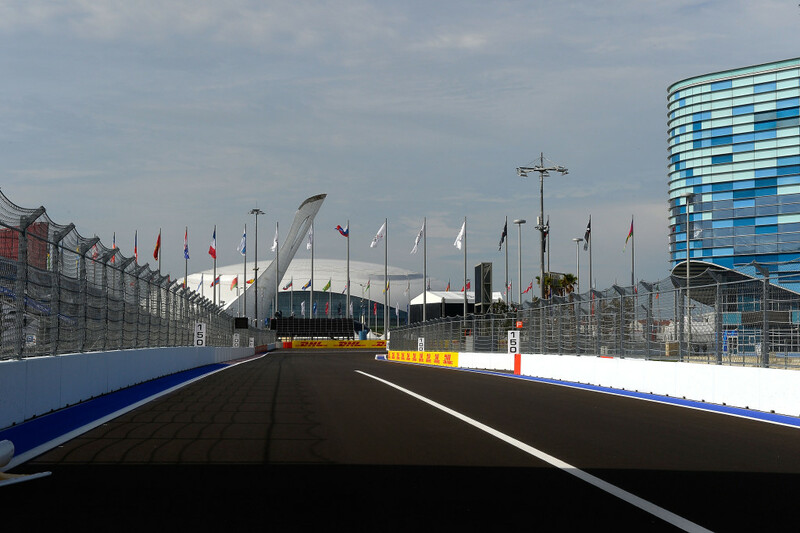 One hundred years after the last running of a Russian Grand Prix in St Petersburg, the event returned to the calendar now under F1 guise and at a brand new venue – the Sochi Autodrom. 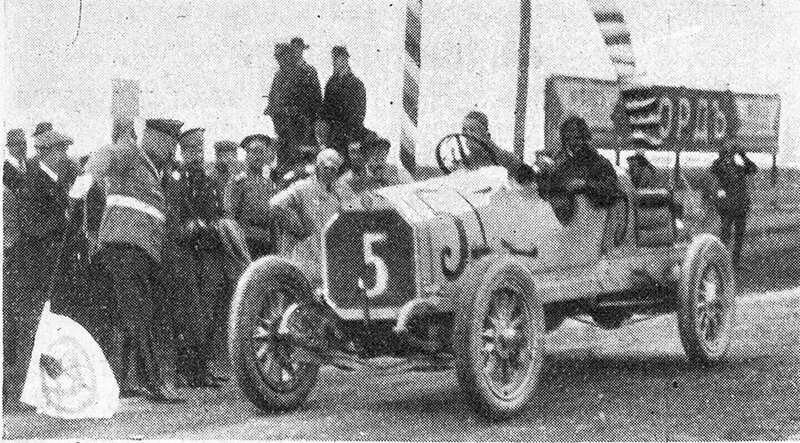 In recent decades a number of unsuccessful attempts have been made to resurrect the race last won in 1914 by Willy Scholl coincidentally in a Benz. 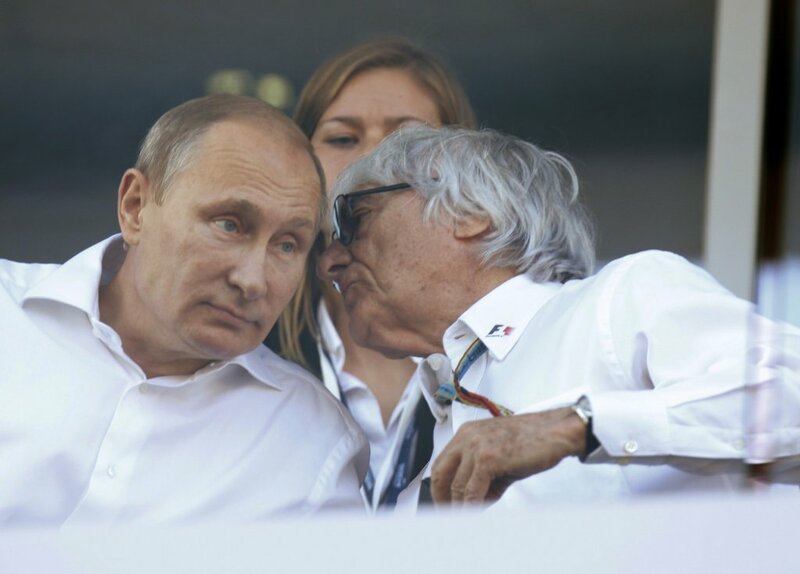 A seven year deal was signed by Bernie in 2010, commencing in 2014, to stage the Russian Grand Prix on a new 3.634 mile new street circuit created around the site of this year’s Winter Olympic Village. Part of the circuit ventures on to public roads and with a complete absence of historical data all the free practice sessions would be invaluable to the teams. It soon became apparent the smooth tarmac surface had gone rather unnoticed at Pirelli who equipped the teams with some very conservative rubber! Tyre wear or should I say ‘deg’ only occurred after big lock ups of which admittedly there were plenty. In ‘normal’ running the primes and softs on offer went on forever. All F1 personnel arrived in Sochi doubtless still reflecting on the tragic end to the Japanese Grand Prix just a week ago, leaving poor Jules Bianchi still hospitalised. 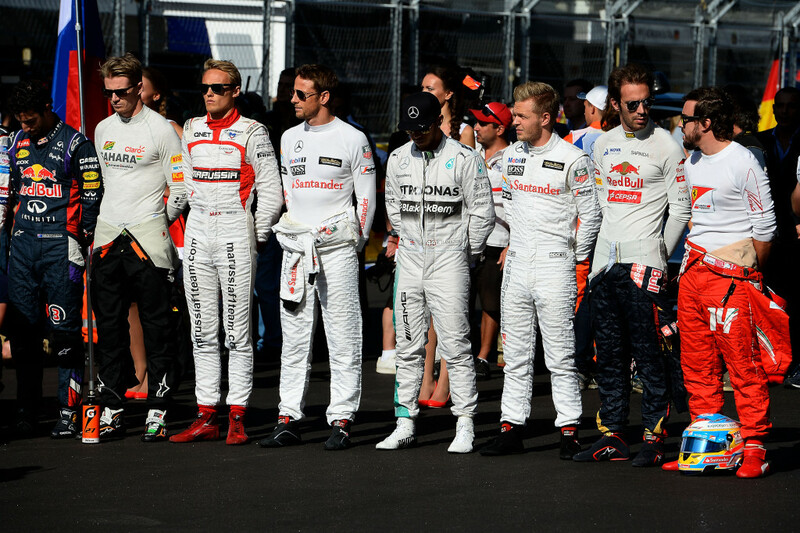 Marussia announced they would only be running a single entry for Max Chilton as a mark of respect. FP1 got underway under blue skies. Appropriately two Russian drivers featured, Kvyat of course in the Toro Rosso, and Sergey Sirotkin managing 22 laps in the Sauber. Despite the unfamiliar track there was nothing out of character about the order up front. Rosberg narrowly pipping Hamilton in FP1 and Fernando nestled in 4th sandwiched between the two McLarens. 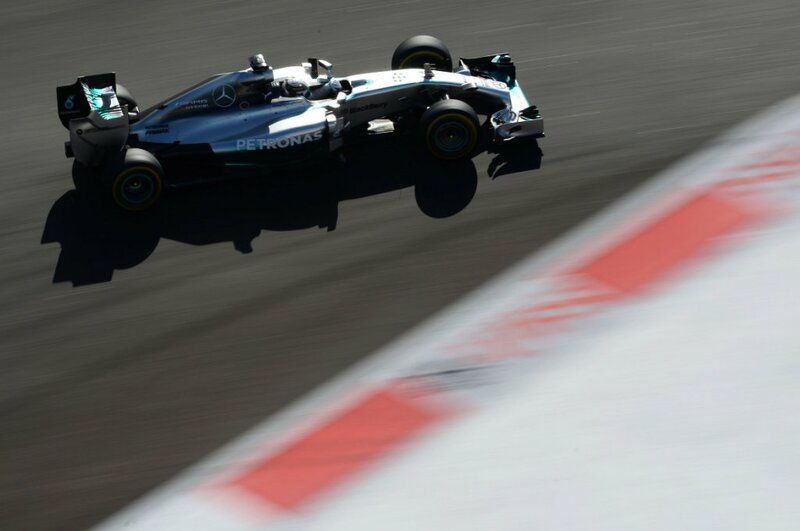 Lewis reversed the order during FP2 and comprehensively outpaced the field with the first sub 1:40 lap. McLarens kept up their strong showing from FP1 with Magnussen 2nd quickest and Button 6th Fernando was 3rd ahead of the Rosberg Mercedes who made an error at a critical stage in the session. Kimi alas could only manage 11th in FP2 still bemoaning front end handling issues. FP3 was also mopped up by Lewis but the McLarens pace suddenly dropped off after some new set up was introduced, which thankfully was corrected in time for qualifying. Whoever could have imagined at the start of the 2014 season we would be staring down a F1 grid sheet and come across the name of a Toro Rosso piloted by Kvyat ahead of both Red Bulls and dare I say both Ferraris. For good measure Jean Eric Vergne also squeezed the second Toro Rosso into the top 10, fractionally pushing out last year’s FI Champion. In fairness the TRs probably compromised their race set up in favour of a strong qualifying performance but nothing should be taken away from this racy showing from Franz Tost and his team. 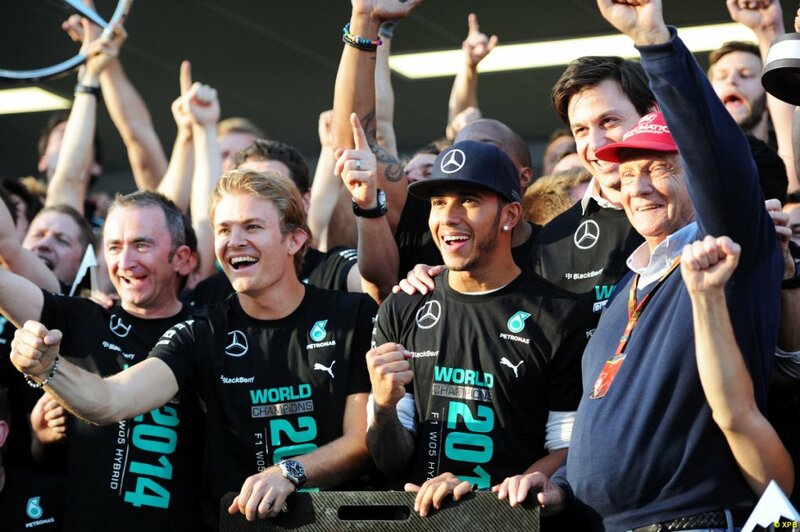 Qualifying in each of the three sessions was a Mercedes master class, with Lewis dominating throughout, and carrying considerable momentum into race day on the back of three consecutive GP wins. Bottas was the only man threatening to upset the Mercedes party with a truly spectacular qualifying lap, posting fastest times in Sectors 1 and 2. Unfortunately for the Finn he slewed well wide on the exit of the last turn but still was just 2/100th’s second off Nico’s time and 4/100th’s adrift of pole sitter Hamilton. 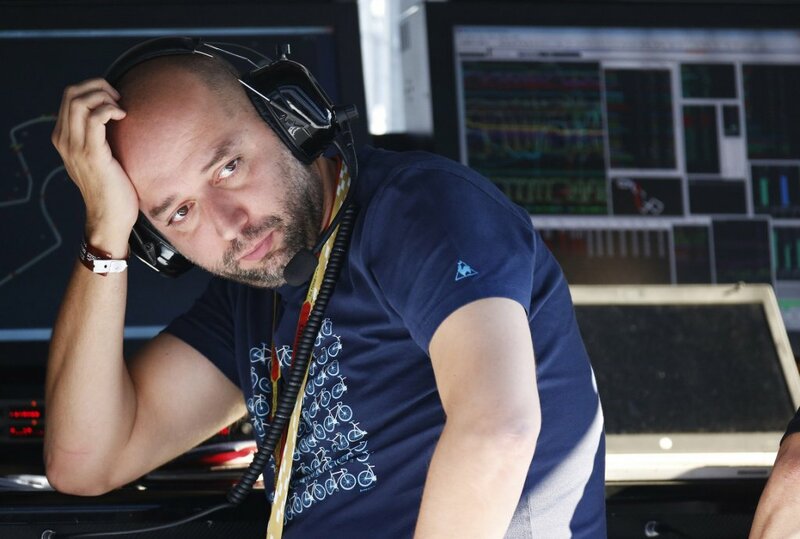 The big names suffering on Saturday were Massa with fuel pressure problems dropping him in Q1 and Vettel failing to make Q3, presumably just on lack of pace. Five place grid penalties were dished out to Magnussen, Maldonado and Chilton for replacing power train bits. The Sochi circuit did look resplendent throughout the whole meeting nestled between the Caucasus Mountains and the Black Sea. Anyone would believe the claim the resort boasts 200 days of sunshine a year and a 20C temperature improvement on the capital. No surprise then that race day looked another cracker with clear blue skies and sunshine bathing the track. The race alas didn’t for me quite generate the same sparkle. Hamilton made a good start from pole but Rosberg decided on a bold early attack up the inside into T2. Such was his approach speed however that only a full light-up of all four tyres kept him in the park and even then relying heavily on the run off area. A hand back of the position he inherited briefly from Lewis followed, and then a pit stop for primes. From there he steadfastly progressed through the field, hoping upon hope, that the new prime tyres would go the distance. 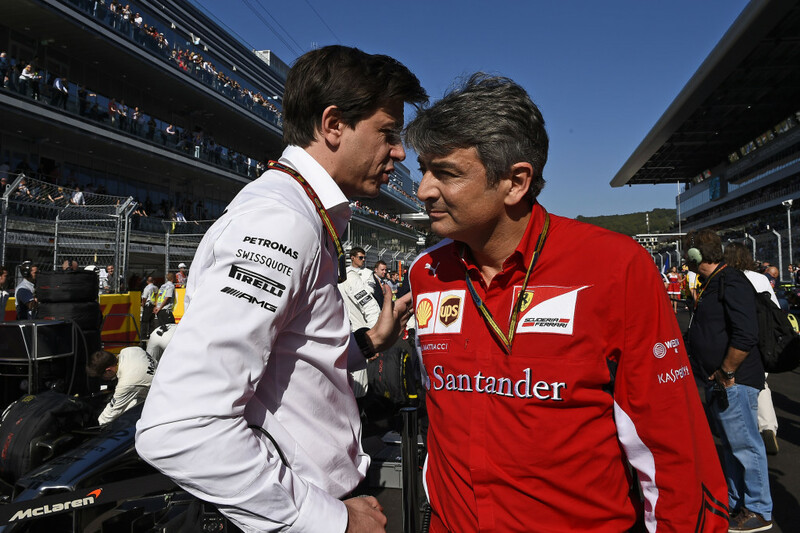 They did, but this early rush of blood to Nico’s head denied us the prospect of any jousting between the two Mercedes Cars. If Lewis’s car could run trouble free then the outcome of the race was pretty much assured from that point. 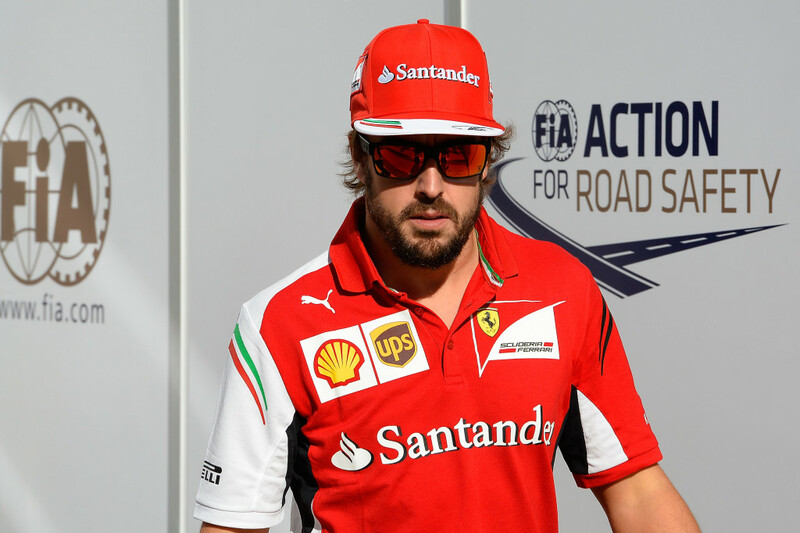 Fernando cheered up Ferrari fans with early advancement to P4 from P7 on the grid and some prospect briefly of catching Jenson whose McLaren was again now performing exceptionally well. 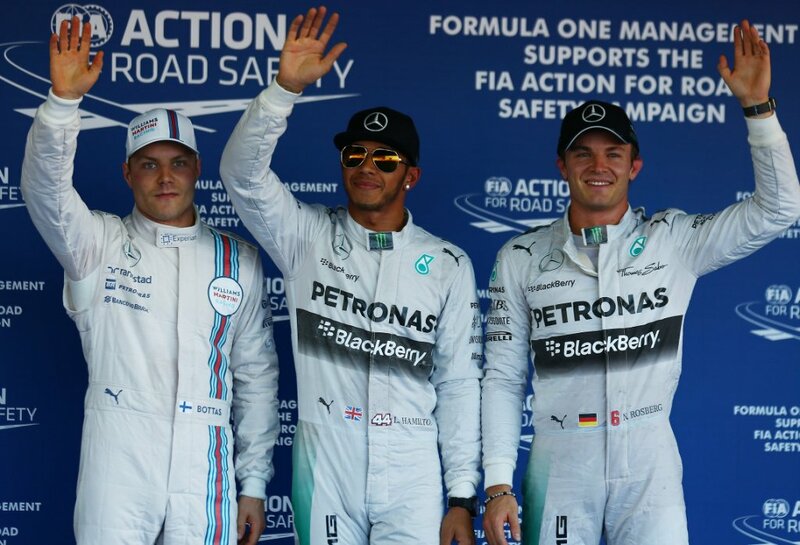 In the end the Spaniard was overhauled by Rosberg and latterly by Magnussen to finish 6th. Kimi made a great start but was soon well and truly squeezed towards the wall by Kvyat who doubtless found it strange to be so far up the grid. 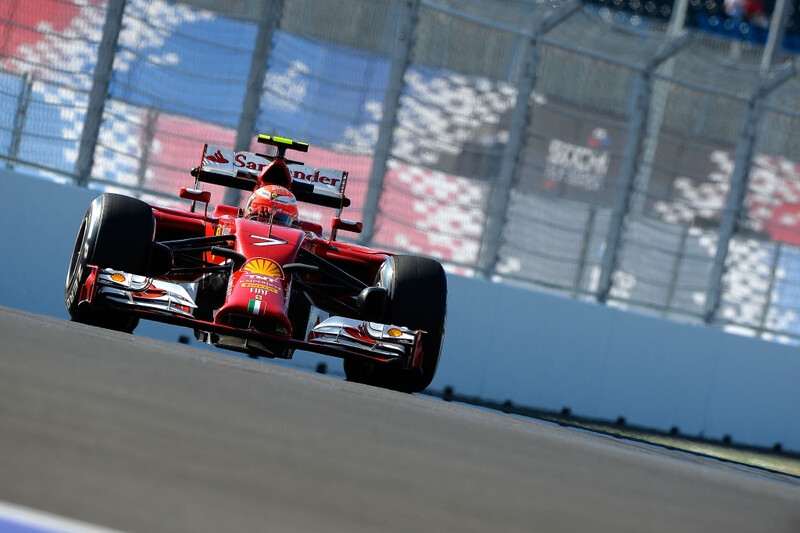 Kimi had to give up several places to avoid incident and struggled thereafter to get back into the fray. The lack of straight line speed in the F14T made overtaking difficult for the Finn compounded by a need to save fuel towards the end. Ninth place was his reward, same as the grid position. In fact the top 4 places all followed grid order. As I say this was not a race to be savoured. 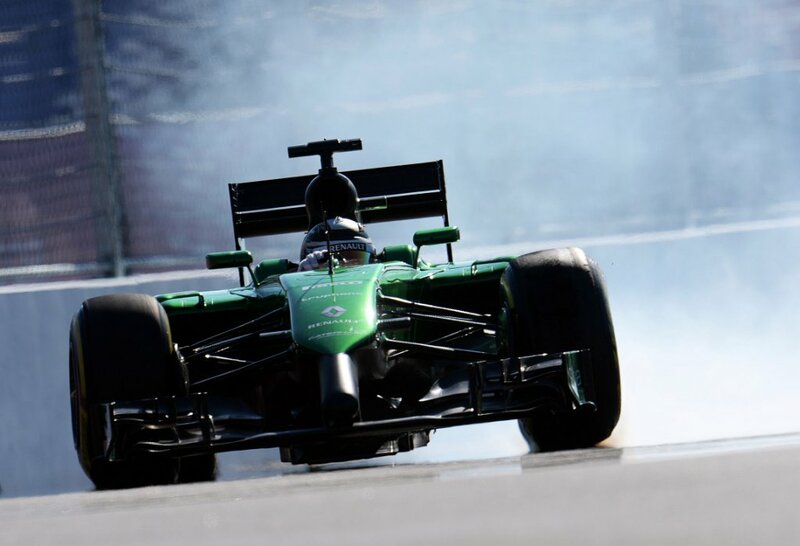 Everyone was no doubt thankful though that all the cars returned safely to the paddock, unscratched, after the torrid events in Suzuka and with only two retirements, one unfortunately being Chilton with a vibration and the other the Caterham of Kobayashi. 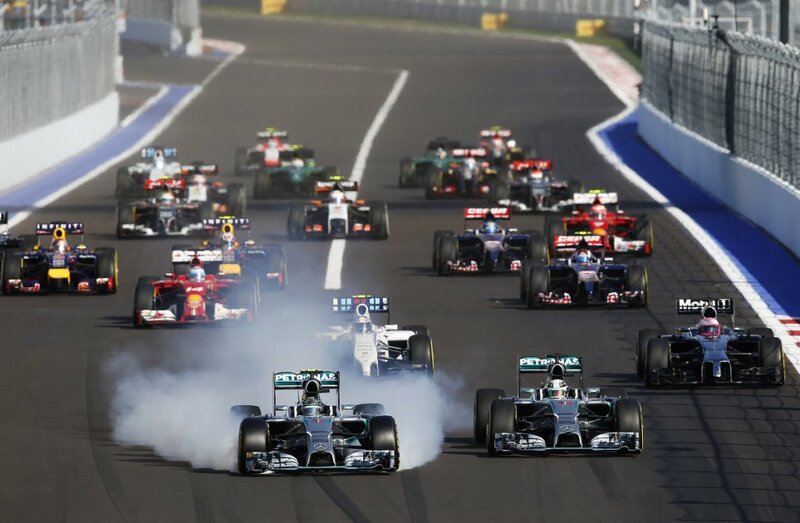 One Championship was decided at Sochi with the Constructor’s Trophy now the property of the Mercedes Team who have an unassailable 190 point lead. The Driver’s title will remain wide open between Hamilton and Rosberg as we enter the final three races and could potentially be decided with the double points on offer in Abu Dhabi. The prospect of Lewis breaking down in the final race and Nico bagging 50 points to take the title hardly bears thinking about. Interesting to look back over the same last three races in 2013 in the US, Brazil, and Abu Dhabi when apart from Webber’s 3rd place in the US GP, the Red Bulls locked out the top two podium slots in all three! What a difference a year makes.